Happy New Year!!! 2009 was a long year for many people, and everyone seemed to feel the effects of the economy at one point. Lots of interesting things happened in the hobby; new skimmers and lighting, new livestock availability, and, unfortunately, the closing of many businesses, in and outside the pet industry. The pet industry, which is the broad umbrella that the aquarium industry falls under, is essentially an industry based on luxury. No one needs an aquarium, or parrot, or reptile, or whatever, we just live in a world where we are lucky enough to accommodate our wants. Sadly though, when things turn sour, ( which happens in a cyclical economy), luxury spending is the first to be put on hold, with good reason. Its been sad to see the closing of many stores, less competition is nice, but it also means a lot less business at the wholesale level, driving costs up. Many people are amazed to find stores, of nearly any kind, surviving or doing well in these times. Not all is bad though, there are still plenty of people with steady jobs that are still deeply interested in their hobbies, which is great news as there has been plenty to keep them coming back for more, so to speak. One of the ways we have been able to stay afloat this long, despite people telling us from day one that we entered the business in the WORST possible time, is by being deeply involved in all facets of the hobby and trying to stay current with whats going on. We listen to what people want, what's new, what people need, and generally this is how we purchase things for our store. 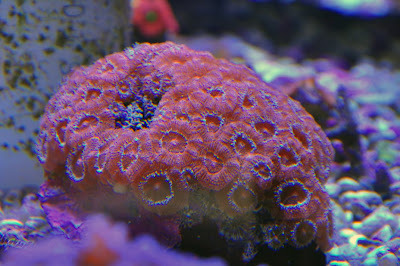 If you've been to our store, you've probably noticed we are saltwater only, and nearly Reef tank only. 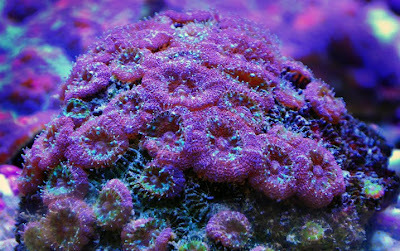 We have a huge emphasis on corals and invertebrates, as its one of the most diverse "product lines" we can carry. This business started out as a passion, and therefore I still am very interested in everything I buy, I often say I started my store because I couldn't fit all of the various creatures, corals, and fish in the 7 tanks at my house. So, to that end, it is one of my great interests to search out the best livestock I can come across for my store, whether it be tank raised from O.R.A, Vanuatu, Australia, Florida, or anywhere else. We work very hard to establish these connections, and we're happy to start 2010 with a few more. Late 2009 saw some premium corals being imported from Malaysia and Borneo, which lies inside the infamous "Coral Triangle" which inlcudes Bali and the Solomon Islands, which is where much of our corals have been coming from in the past. 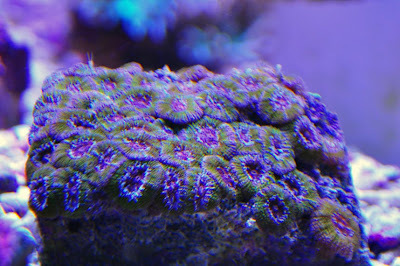 This is exciting and there are sure to be plenty of new corals, along with unique color morphs and growth forms of well known corals. 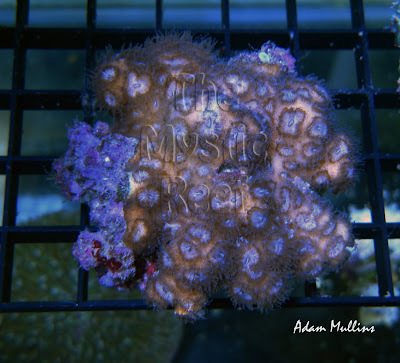 LPS corals will for sure be huge, and we've already seen amazing Blastomussa, Micromussa, and various other LPS including a large amount of Fungiids. Once I heard about this, I had to get my hands on some, unfortunately I caught the tail end of the availability, as flight cancellations into and out of Malaysia have been making shipping difficult. 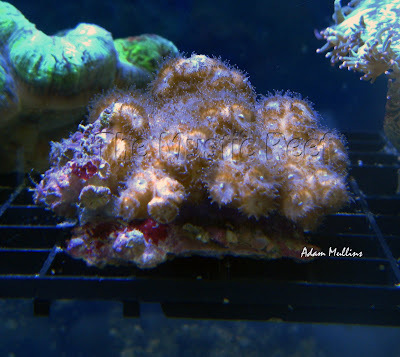 Things should ease up as 2010 progresses and you can expect to see more of these great Malaysian corals in the next few weeks at The Mystic Reef. We also heard about some corals being shipped out of West Africa and worked hard to track down some for ourselves. While not exactly the most brightly colored coral to look at, African Schizoculina species are certainly unique, which is similar to a galaxy coral (galaxea) though we are still unsure of how aggressive they are towards other corals, and their exact environmental needs. I like this unique little brown coral, the fuzzy appearance of the translucent tentacles and large corallites make these coral a cool piece for sure. They do appear photosynthetic, and will catch small foods, and thus far appear to be quite hearty. 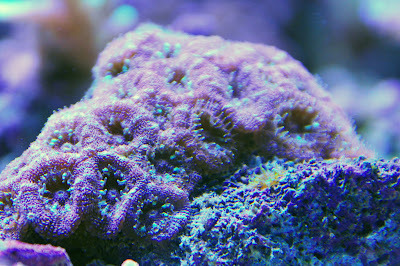 This should be just the beginning of new and interesting corals to hit the market from West Africa, we'll continue to keep you updated with more photos as we continue to receive new livestock from these and other great new locations. We are working hard to bring in new stock from new locations all over the world, 2010 is looking bright!